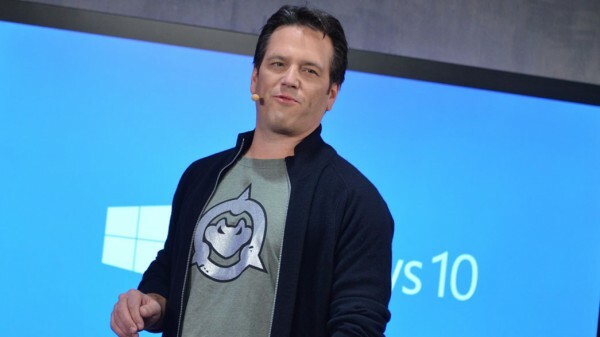 Xbox boss Phil Spencer said during the Microsoft spring showcase event over the weekend the company is working on unifying PC and Xbox One and upgradable consoles. During his keynote, reported by Polygon, the company is “building out a complete gaming ecosystem for Universal Windows Applications,” and looking ahead into the future, an updgradable Xbox One instead of new console releases. Spencer believes that like PCs, consoles should be upgradable. “We see on other platforms whether it be mobile or PC that you get a continuous innovation that you rarely see on console,” he said. “Consoles lock the hardware and the software platforms together at the beginning of the generation. Then you ride the generation out for seven or so years, while other ecosystems are getting better, faster, stronger. “We’ll see us come out with new hardware capability during a generation and allow the same games to run backwards and forward compatible because we have Universal Windows Applications (UWA) running on top of UWP,” he said “It allows us to focus on hardware innovation without invalidating the games that run on that platform. “PC gaming is as important as its ever been in the company. Windows is a critical franchise. Over 40% of the people running Windows 10 are playing games. We want to work hand in hand with our partners to make sure we have the best platform we can have. Spencer said it was possible that in the future, Xbox One owners would be offered optional hardware upgrades in order to keep up with the latest and best tech. “We can effectively feel a little bit more like what we see on PC where I can still go back and run my old Quake and Doom games, but then I can also see the best 4K games coming out,” said during his talk, as reported by The Guardian. “I look at the ecosystem that a console sits in and I think that it should have the capability of more iteration on hardware capability,” he said. “Sony is doing this with VR and adding VR capabilities mid-cycle to the PlayStation 4 and they are doing that by adding another box. I don’t mean that as a negative. But it’s not changing what the core console is about. Microsoft announced during the spring showcase a free-to-play version of Forza 6 and released Gears of War: Ultimate Edition on the Windows 10 store today. You can listen to Spencer’s talk via this YouTube video. It’s not the best quality, as it appears to have been taken using a cell phone, but the sound quality is decent.